The Smithsonian Institution’s National Museum of Natural History (NMNH) has developed a multi-step procedure to construct two-sided, padded jackets to fully protect and hold fragile vertebrate fossils. The process is similar to that described by Dan Chaney (1992), but with some modifications. In general, hydrocal gypsum cement, surmat fiberglass cloth, and ethafoam padding are used to create two-sided jackets that bolt together to fully encase the specimens. Handles and feet on either side of the jacket enable a person to lift off a side, fully examine one side of even the most delicate specimen, recap it and then flip it over to examine the other side. This eliminates excessive handling while the jacket uniformly supports the specimen and reduces the chances for breakage. The technique has enabled NMNH to repair and jacket many vertebrate fossils in our collections, and all newly prepared specimens automatically get a jacket. dry brush and compressed air or in combination with damp cotton swabs if the specimen can withstand moisture. Occasionally old plaster bases and armature may have to be removed from the fossil before it can be jacketed. 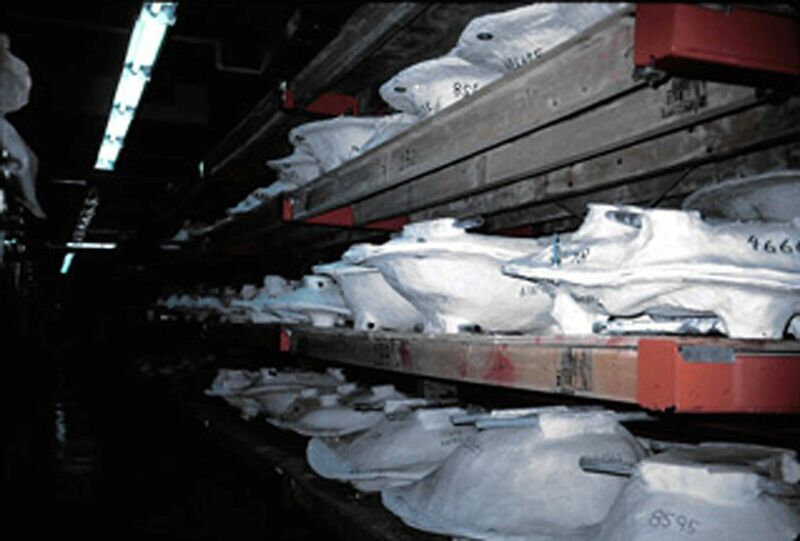 Newly prepared specimens should be in a stable state before the jacketing begins. flange along the dividing line. other material. If necessary, block out any overhangs or vertical walls of the specimen with newspaper or foil. There can be no “undercuts"that the rigid jacket will get hung-up on when it is removed. It’s the same principle as making a plaster mothermold. 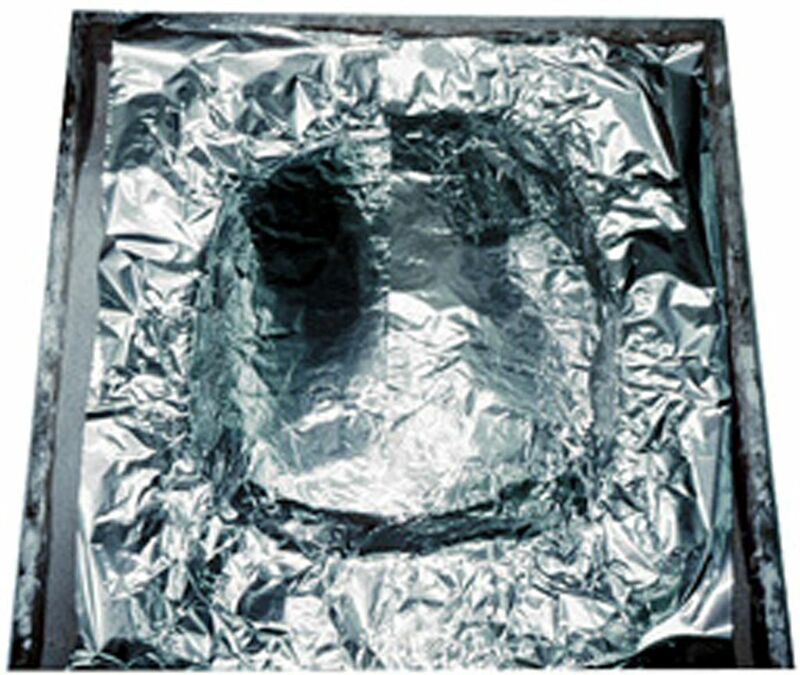 Once the flange and any undercuts are taken care of, the entire surface is covered with foil. 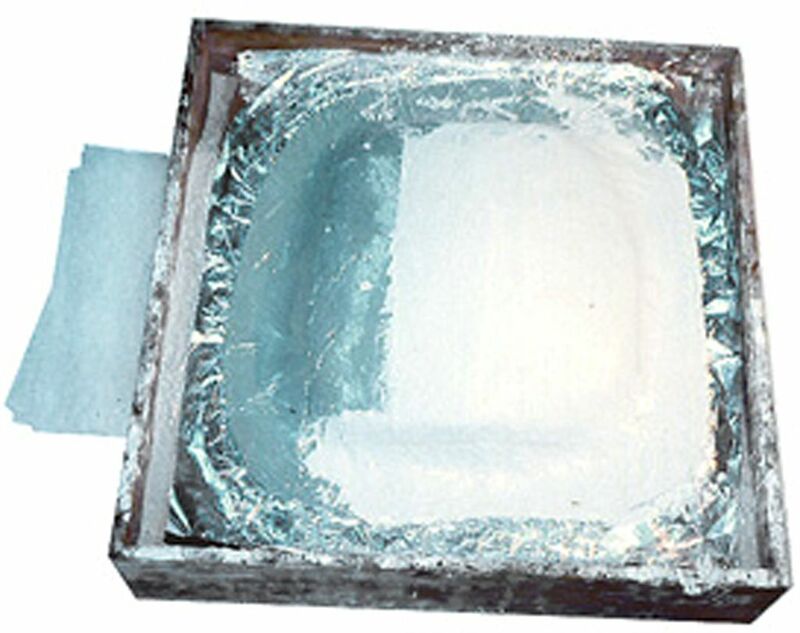 (Figure 6) The foil acts as a separator between the specimen and the clay layer that will be applied next. as a spacer for the foam in the jacket. with the rolled clay. specimen and flange as another separator. Gypsum cement being applied to the specimen. fiberglass and hydrocal application. Figure 12: A jacketed mysticete whale skull illustrating the conduit handles used to lift the jacket off the skull. After the layering is completed, it is necessary to ensure that the final product will not rock back and forth while on a flat surface. This is done by constructing feet on which the jacket will stand - along with handles to lift it off. The handles are usually made from electrical conduit and built into the feet. (Figure 12) A typical way to install the handles is to first figure out where they will best serve their purpose, based, in part, on the contours of the jacket. The handles should be as low profile as possible, but far away enough from the jacket to keep it off the ground and to get fingers between the handle and the jacket. Creative placement of the handles can help with structural support on long jackets. Flattening the ends of a handle may make it easier for it to conform to the shape of the jacket. Once it is determined where the handles go, measure and cut the lengths of conduit needed and set them in place on pieces of clay of the correct height to level them. The clay should not be in the area where the handles will be attached to the jacket. Remember to first thoroughly wet the attachment areas on the plaster jacket surface with water so the fresh hydrocal is not dewatered by a dry undersurface. 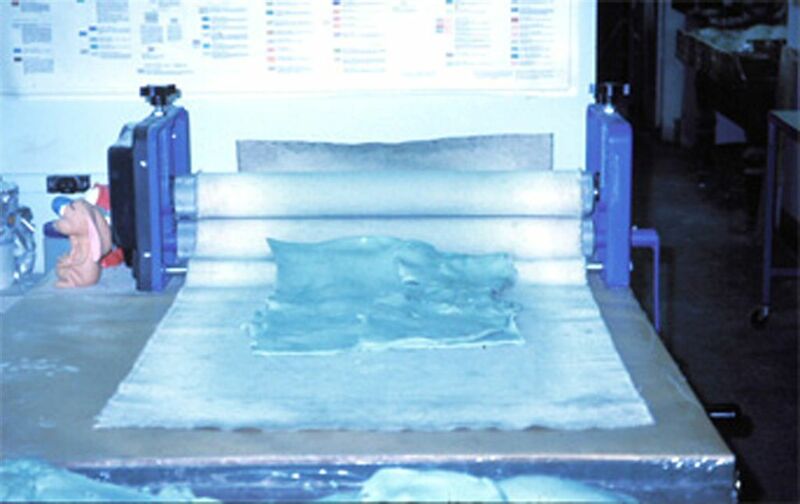 Pieces of fiberglass cloth are soaked in hydrocal and folded and stacked under the conduit until they make contact with it. Strips of fiberglass and hydrocal are then applied over the top of the conduit and attached to the jacket. Plywood or another flat surface can be placed over the feet while they are drying to ensure that they are level. 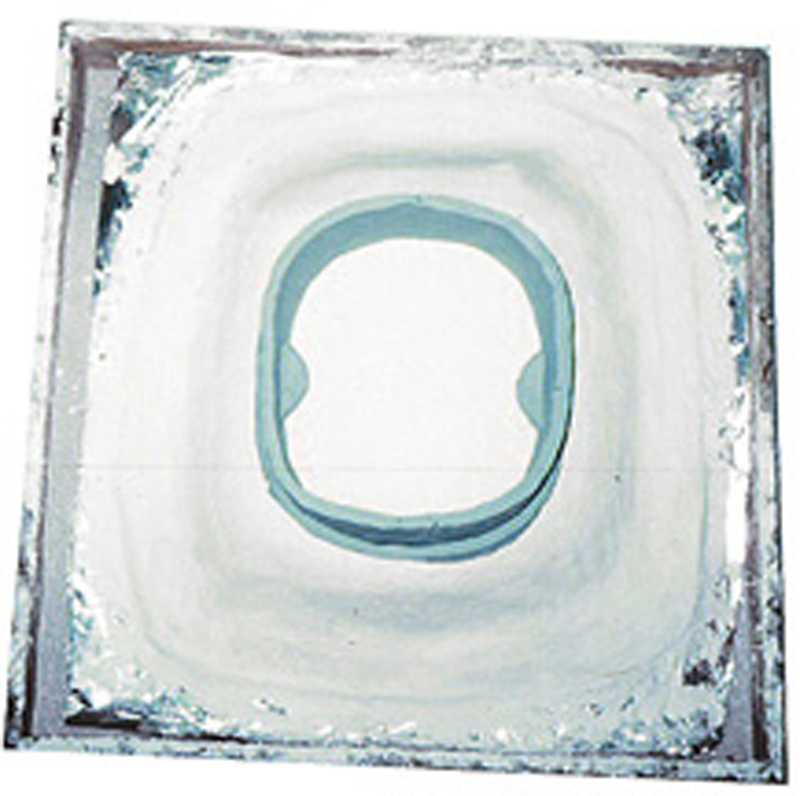 In some cases, as with a smaller, simple-shaped specimen, it is easier and more efficient to just make a solid plaster pad with finger holds to lift the jacket off. (Figures 13, 14) The jacket surfaces, including the feet and handles, must be smooth for comfortable handling. Remove the clay immediately after the hydrocal is set. 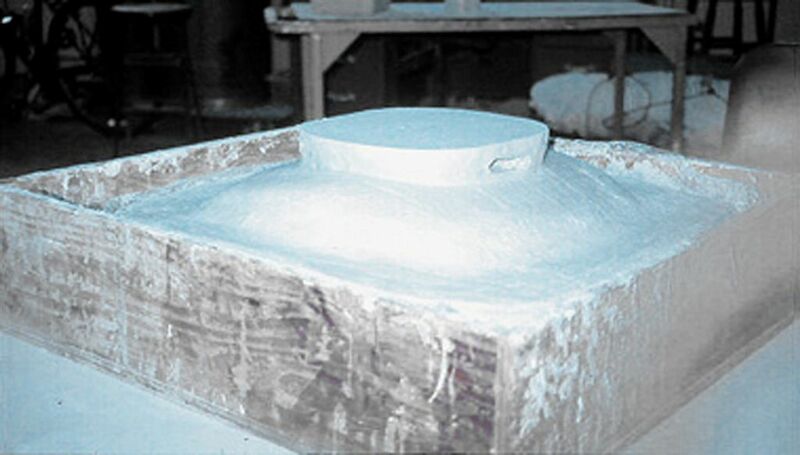 Figure 13: Hydrocal cement will be poured Figure 14: The finished resting pad. finger holds, on which the jacket will rest. 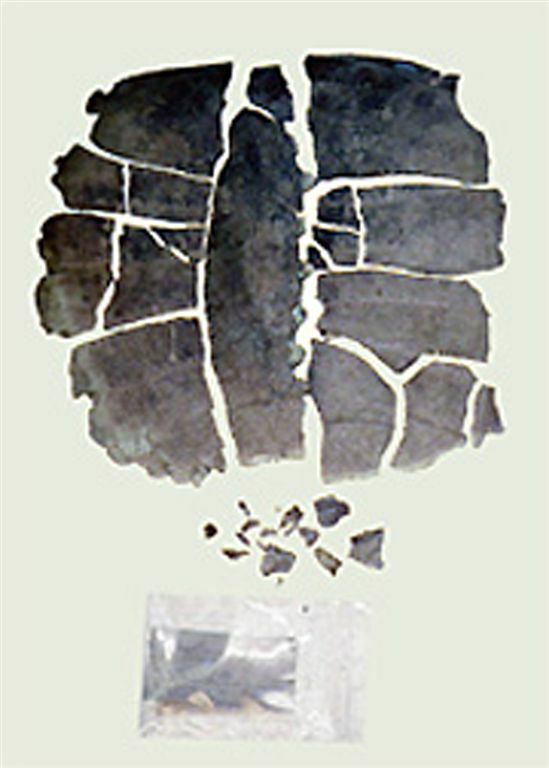 Figure 15: The fresh plaster jacket is removed and set aside to completely dry. Now the plaster jacket, plastic wrap, clay and foil are removed from the specimen, and the jacket left to dry completely. (Figure 15) The edges of the jacket are trimmed and sanded smooth. It is also advisable to take a propane torch and burn off any fiberglass along the edges. 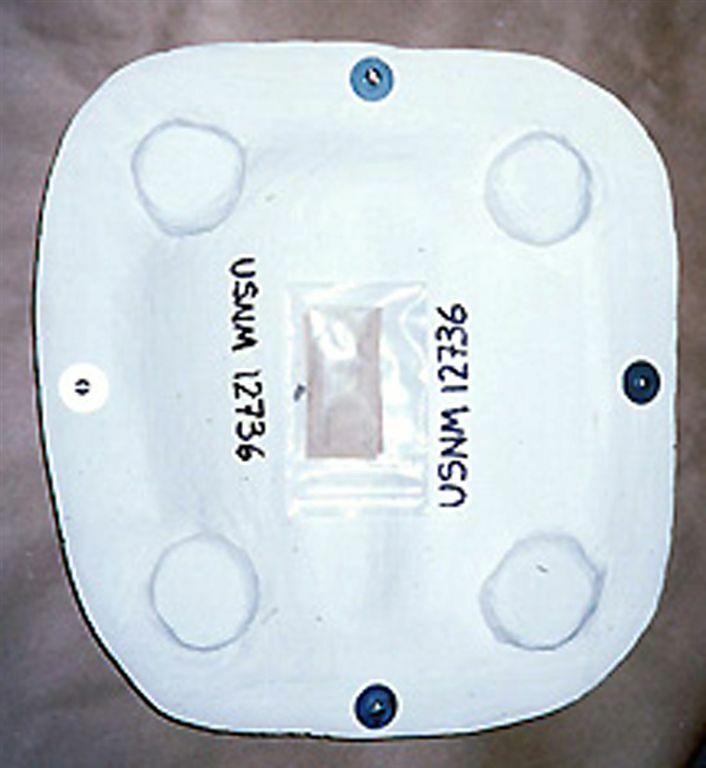 Figure 16: (A) The foam is adhered to the inside of the jacket and any air spaces are slit open so the foam completely rests against the plaster. (B) The slits are then filled in with foam. advisable to always work in a well ventilated area, or wear a respirator with organic vapor filters when applying the contact cement. After waiting the prescribed amount of time, the ethafoam is carefully pressed into the jacket and the surfaces worked completely down. 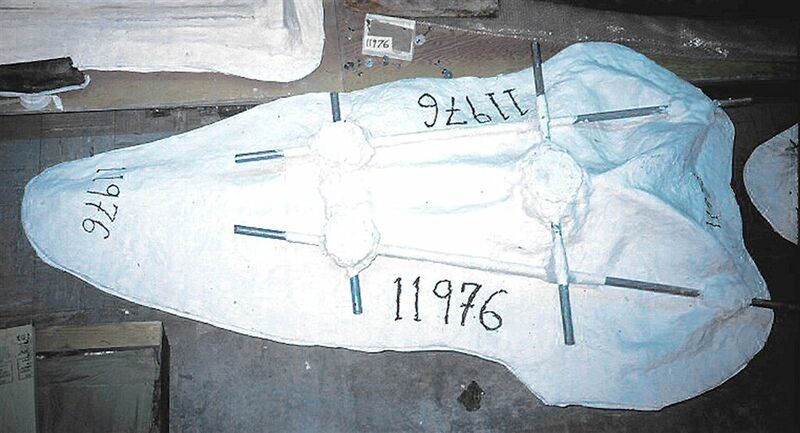 (Figure 16) If possible, the jacket can be put back on the specimen and weighted down until the cement dries to make sure everything stays in place. 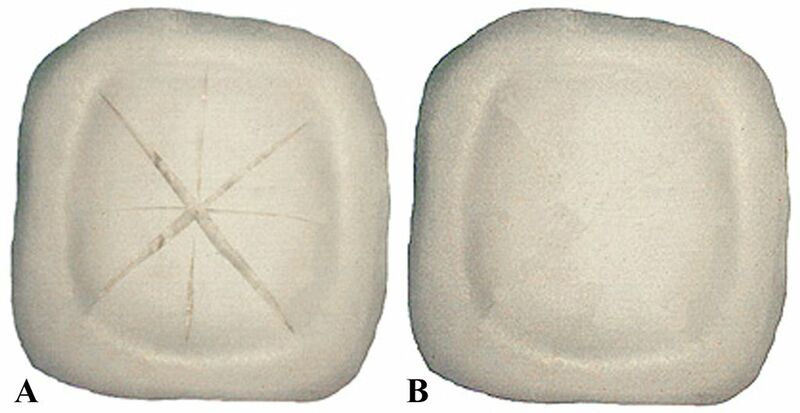 Figure 17: (A) The jacket can be placed back on the specimen and slightly weighed down so the foam conforms to the shape of the specimen. 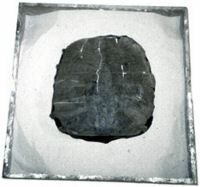 (B) The jacket and specimen are then flipped over. Now, the same general procedures are performed on this side of the specimen. It is layered with a foil separator, then 3/16-inch of clean clay - but the clay is not applied around the flange on this side of the jacket. Foam will not be applied to the flange on this side either as it isn’t necessary to have both flanges with foam on both sides of the jacket. An extra layer of foam makes it easier for the jacket to be overcompressed if the bolts are overtightened, possibly resulting in damage to the underlying specimen. 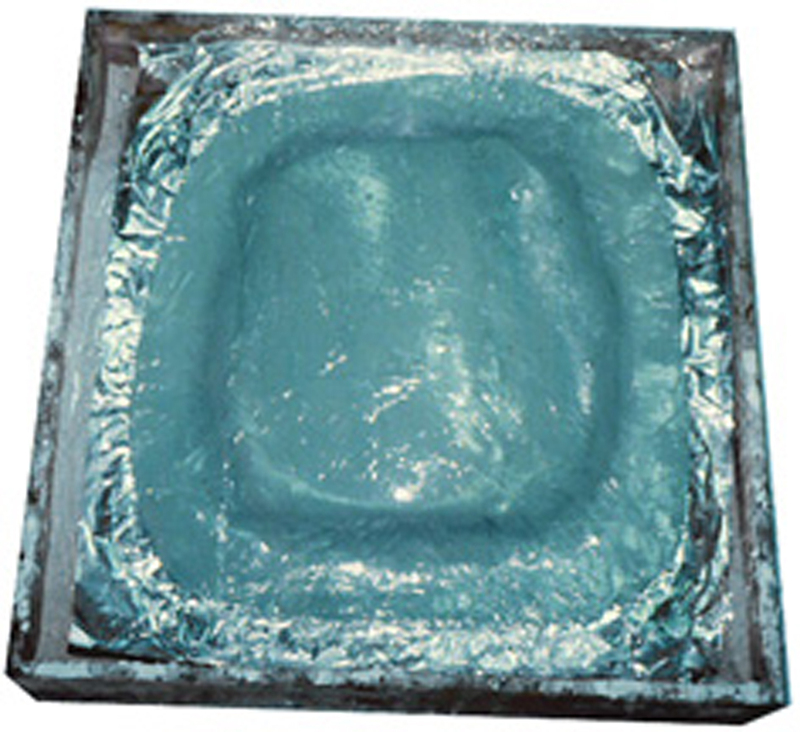 Plastic wrap is applied as another separator, and then surmat and hydrocal. The jacket is trimmed and sanded, and the feet and handles are constructed for this side. (Figure 18) Ethafoam is then adhered to the inside of this jacket - but not around the flange. 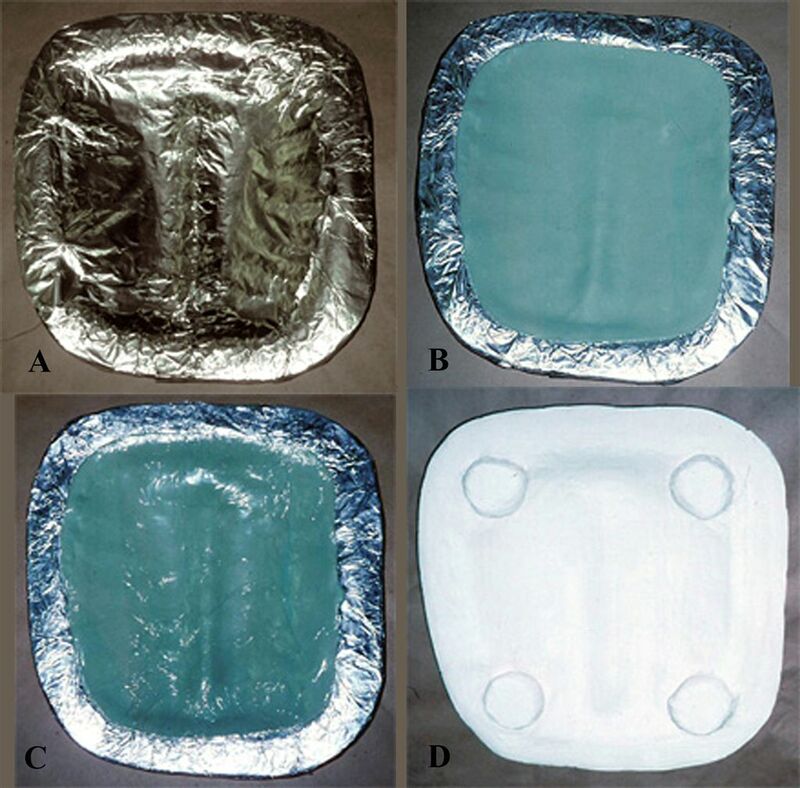 Figure 18: The process – (A) foil, (B) clay, (C) plastic wrap, (D) fiberglass cloth and hydrocal gypsum cement, and feet as handholds - are repeated on the second side, except there is no clay or foam on the flange. original catalogue labels in a plastic bag. 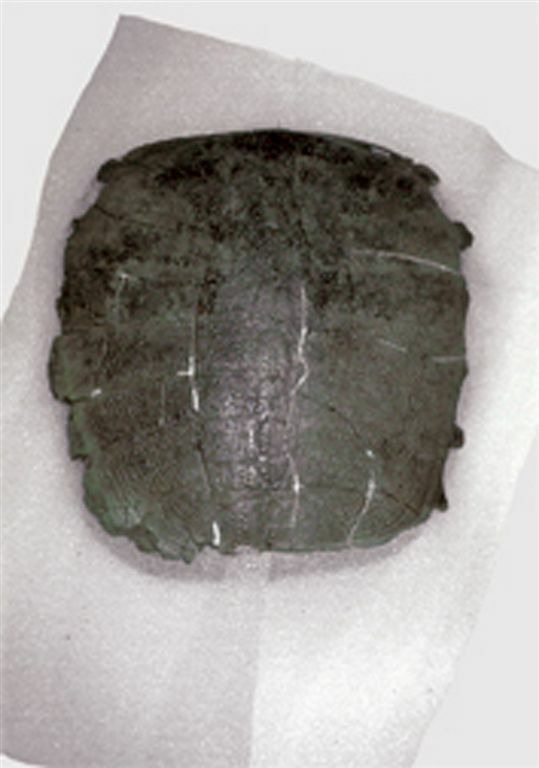 views of the turtle carapace. Figure 21: A well-designed jacket will take up little more space on the shelf than the specimen itself. 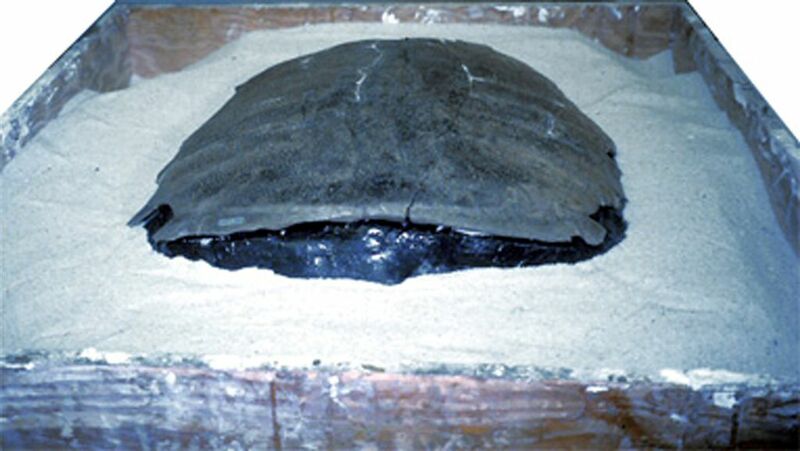 Figure 22: A view of the conserved turtles in the USNM collections. As always, there can be any number of variations on this theme. The procedures can be, and are, continually modified for specific specimens and conditions. A couple of common concerns are addressed below. There may be the occasion when the specimen being jacketed will be x-rayed or CT scanned or MRI scanned. Metal handles in a storage jacket will interfere with these processes. If the specimen is scheduled for scanning, or if there is a chance it will be, the handles must be made of an inert substance such as PVC pipe. 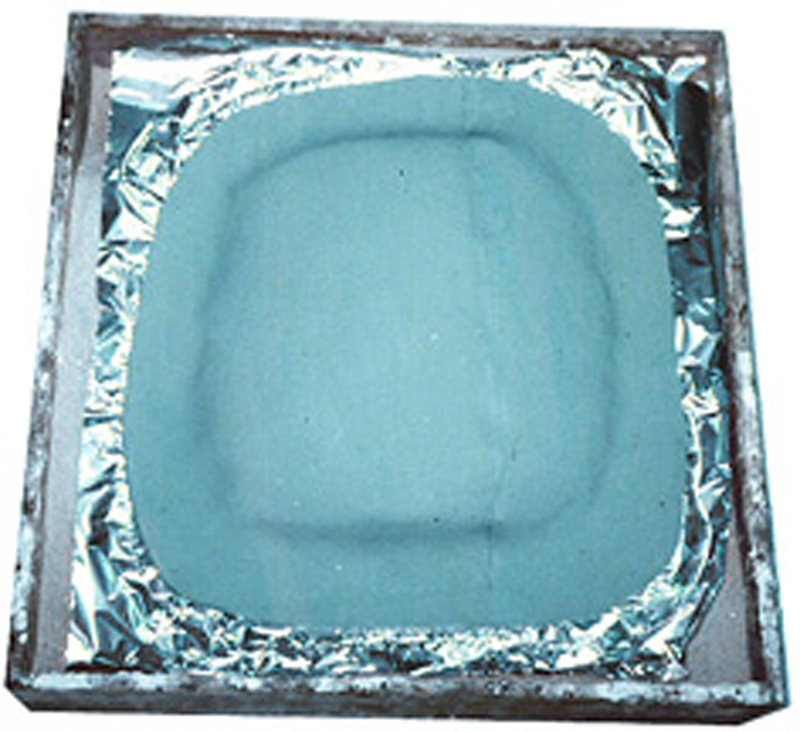 If the specimen is very light – 15 pounds or less – one-eighth inch thick foam can be used instead of the 1/4 inch thick material. Also, the clay must be rolled out to 1/8 inch thickness to get the right spacing. The plaster and fiberglass making up the jacket does not have to be as thick as for a heavier specimen, either. Thinking in terms of negative space, projecting teeth, such as those on a Eurhinodelphis rostrum, can be protected by making the clay layer over the teeth slightly thicker. Adding a little more clay over the normal layer will create a slightly larger air space around the teeth once the jacket is made. After the jacket is lined with foam, the teeth should just barely come into contact with it (or possibly just miss making contact - it's better to err on the side of caution within reason) and eliminate the potential to break because of too much pressure. However, because the teeth will then be, in effect, "floating", it is essential that there are areas of bone that contact the jacket foam to act as the load bearers for the weight of the jacket. The palate or the rostrum or the sides of the mandibles are all areas to consider. Make sure the normal thickness of clay for the jacket you are making still contacts them. The larger or longer the contact area is, the better it will disperse the weight. Fragile processes can be taken care of in the same way. 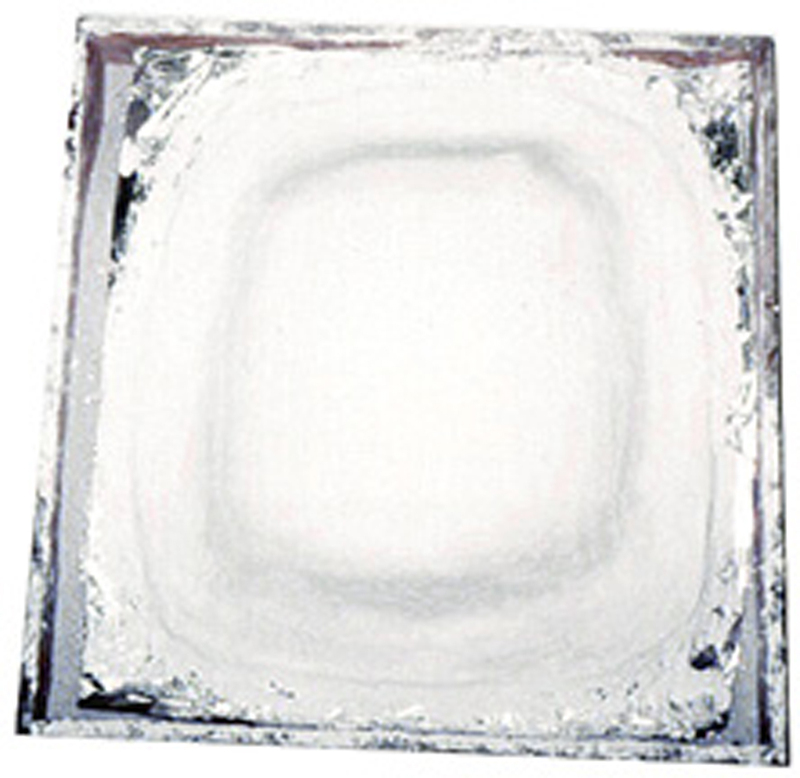 Make the clay on those areas slightly thicker than normal so that when the specimen sinks down into the foam it will not create too much pressure on the processes and break them off. The weight and the shape of the specimen must be taken into consideration as to how far it will sink into the foam. The processes shouldn't be floating in the air, though, because there is risk of breakage when the jacket is flipped or jostled. Finally, if a jacket is constructed for a fragile specimen or one that has delicate features, be sure not to crank down too hard on the wing nuts and bolts holding the jacket together. Too much pressure could be created on those features inside the jacket and break them. Write "FRAGILE" on the outside of the jacket.